Patricia Scroggs has been the Director since January 2006 and has enjoyed working with outstanding Rangel Fellows and Scholars who are committed to making a difference in the world. She joined Howard University after 20 years of service in Asia, Latin America and Washington as a Foreign Service Officer. Until November 2005, she served as the Director of the East Asian and Pacific Bureau’s Office of Regional and Security Policy. In this capacity, she led a large office that handled security, multilateral affairs, counter-terrorism, strategic planning, foreign assistance, congressional affairs and transnational issues for the Asian-Pacific region. In addition to traveling to over 20 countries, her overseas posts included Tokyo, Japan, Seoul, Korea and Mazatlan, Mexico as a Foreign Service Officer. During Washington assignments, she was Chief of the Asia, Near East and Africa Division in the Trade Office; Special Assistant to the Assistant Secretary for East Asian and Pacific Affairs; and an Economic Officer and a Science, Technology and Environment Officer in the Office of Japanese Affairs. Her languages are Japanese and Spanish. She has an MA in International Relations from the Johns Hopkins University School of Advanced International Studies and did considerable leadership, management, language, and area studies trainings at the State Department’s Foreign Service Institute. She was awarded four Superior Honor Awards and the Averell B. Harriman Award for outstanding contributions to diplomacy. Bunmi Akinnusotu is a foreign policy enthusiast and organizational management leader. As the Deputy Director of the Rangel Fellowship at Howard University, Bunmi builds the talent pipeline of foreign service officers and international affairs leaders. Prior to Howard, Bunmi was the Chief of Staff at Young Professionals in Foreign Policy which also amplifies the voices of rising global policymakers. She was a political appointee in the Obama Administration where she served as Special Assistant in the Office of Land and Emergency Management at the US Environmental Protection Agency. There, she coordinated international and domestic efforts to advance resource conservation and bring greater visibility to the social and economic benefits of reducing negative environmental impacts. Bunmi’s international journey began at Search for Common Ground in Timor-Leste and she later taught English in Puerto Plata, Dominican Republic. 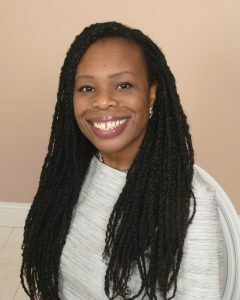 Prior to her career in foreign affairs, Bunmi was a non-profit fundraiser for the YWCA and United Way in Chicago. She’s also an Americorps Alumn, a Truman National Security Fellow, and a Penn Kemble Democracy Fellow. Bunmi obtained her Master’s degree in Public Administration from Columbia University’s School of International and Public Affairs (SIPA) and also a Master’s in Sociology from Illinois State University Stevenson Center for Applied Community and Economic Development. She received her Bachelor’s degree in Computer Information Systems from Bryant University located in her home state of Rhode Island. Bunmi is a recovering collegiate volleyball player, loves anything made of red velvet, anything from Chicago, and enjoys producing her radio program and podcast, What in the World?. She is relentless in her pursuit to help more Americans understand the connection of foreign policy to their every day lives. Laurel Brooks serves as the Program Coordinator for the Charles B. Rangel International Affairs Program. She is currently in the Higher Education Administration MA program within the Graduate School of Education and Human Development at The George Washington University, with a focus on international education at historically black colleges and universities. Previously, she was the program assistant for the Asian Studies Research Council housed within the School of International Service at American University where she supported the Washington-Asia Forum lectures and also served as a graduate assistant supporting the Asian Studies program. She is a graduate of North Carolina A&T State University where she received a BA in English and was an intern with both Voice of America and International Studies Abroad. She also taught English in China at Henan Polytechnic University to undergraduate students and has spent time in East Asia and parts of Europe. She is committed to all aspects of international education and wants to expand on the knowledge base and participation of HBCUs within the field.